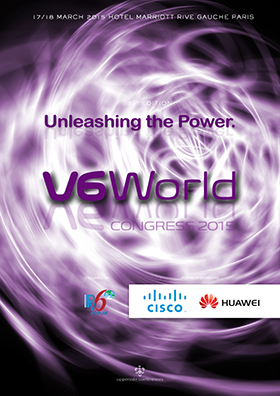 The fifth Edition of V6 World Congress will take place in Paris from 17 to 18 March, 2015. The 2015 edition will focus on IPv6 centric, Segment Routing, country deployment status, and measurement. The agenda will also place particular emphasis on open source issues. 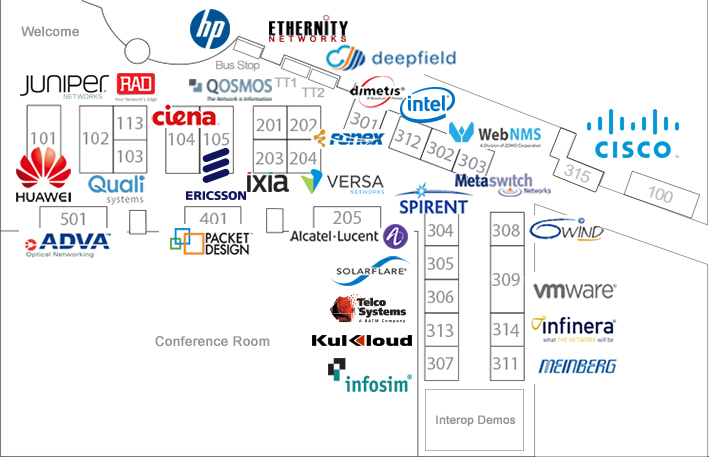 Other sessions will cover in details SDN, NFV and IoT challenges. The proposals have been analyzed and categorized according to their degree of pertinence by the members of the scientific committee. Upperside would again like to thank the members of the committee. Figures demonstrate that 45% of the delegates were service providers, 35% vendors, 5% enterprises, 5% government representatives and 10% researchers. Moreover, 52% of the delegates came from the European Union countries, 10% from the Middle East, 9% from Russia and non EU countries, 15% from North America, 10% from Asia, and 4% from South America. Delegates at V6 World and the collocated events (MPLS SDN World and NFV & SDN Summit) will be given the opportunity to experience demonstrations of IPv6 applications, delivered through the Marriott Paris Rive Gauche Hotel and Conference center’s network. The European Advanced Networking Test Center together with Upperside Conferences invited interested vendors to our public multi-vendor interoperability test and showcase. The objective of the test is to verify protocol interoperability in a service provider oriented environment. The published results could be considered your advanced blue-print scenarios proposed to your customers. EANTC will present results in regular guided tours to conference attendees. The showcase will be open for the full four days of the conferences (Tuesday to Friday).